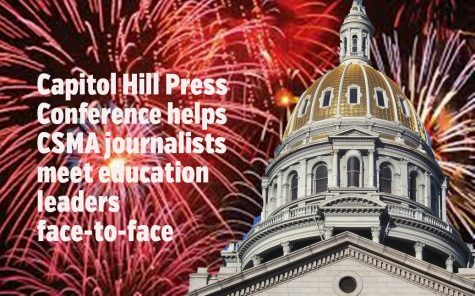 The first six photos from the slide show above were submitted by Conner Davis and Tyler Merchant, Mountain Vista HS, and was the first-place winning portfolio from the CHPC. In addition to all the images being terrific (and tightly cropped), the captions are models of strong reporting. 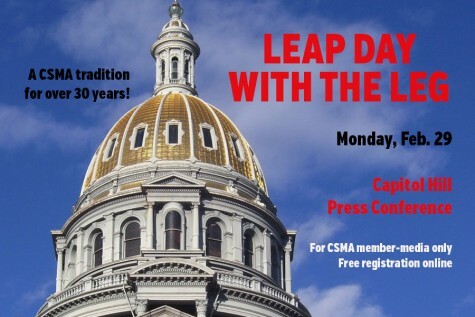 It was Leap Day at the Leg on Feb. 29, and the 34th edition of the Capitol Hill Press Conference. 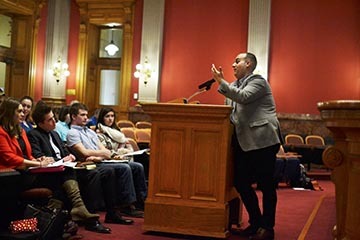 Uncharacteristically mild weather made the day even better, as 51 students and 13 advisers gathered in the Old Supreme Court Chambers of the state capitol to hear from a working journalist, the lieutenant governor, and the commissioner of education. Many of those students also took advantage of the 11 a.m. press conference start to spend the morning visiting their own legislators, interviewing other government officials, and touring the capitol building. 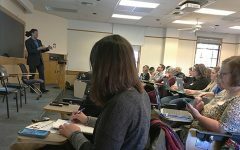 Nic Garcia, Chalkbeat Colorado deputy bureau chief, began the day with advice ranging from how to conduct a press conference, to covering pressing education issues, to how to prepare for a life as a professional journalist. We were fortunate to have Lt. Gov. 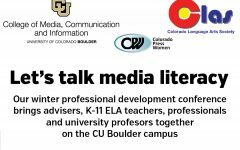 Joe Garcia share some thoughts on the state of education in Colorado and answer questions from our journalists. Garcia is in his last few months in his current position, before he moves on to a position working with post-secondary policy. 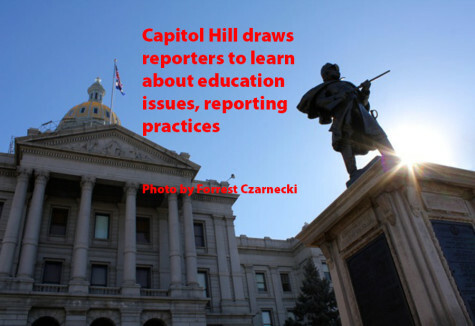 In just his 32nd day in the position, Colorado Commissioner of Education Richard Crandall fielded questions for 45 minutes, discussing the coming transition from ACT to SAT for Colorado juniors, and about assessments and education policy more generally. 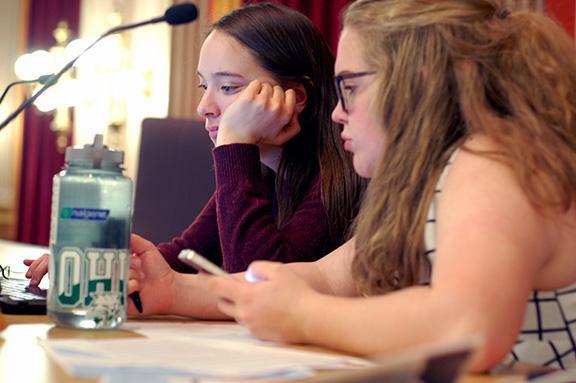 Following the press conferences, students were invited to participate in on-the-spot writing competition, either news-feature or commentary, along with the chance to share 4-7 photos plus captions in our photojournalism contest. 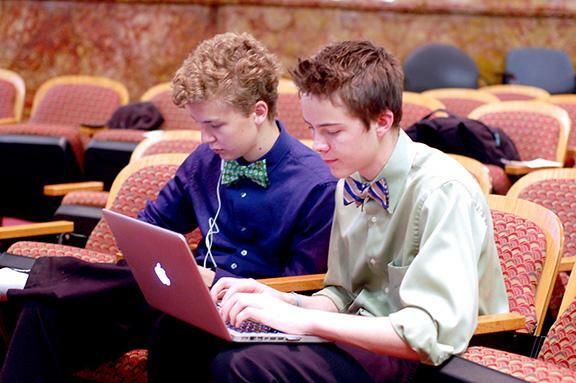 Students could work individually or in teams. A serious shortage of teachers in Colorado schools has required the state to begin planning to recruit around 4,000 new teachers for the 2016-2017 school year. 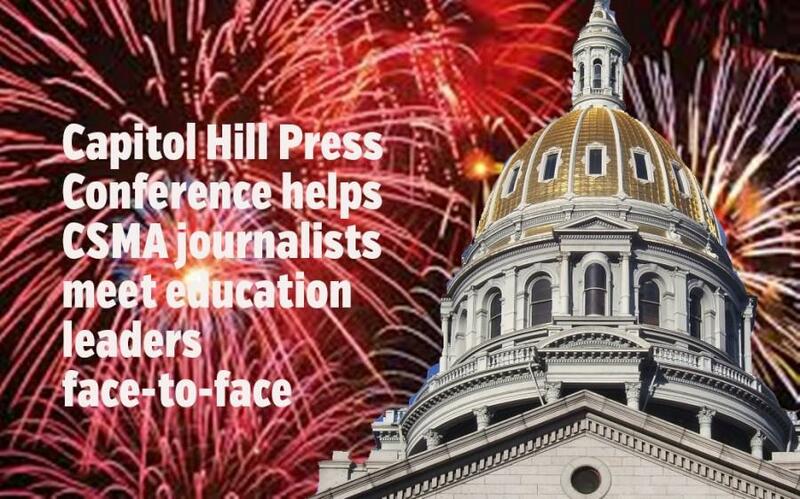 2,500 of these teachers will be gathered from in-state colleges, and the remaining 1,500 from out-of-state colleges. This high need for teachers in Colorado is due to a variety of causes. In general, a large number of teachers have begun to leave the teaching profession altogether for jobs at higher levels and that pay more, but on top of that, fewer students are going to college to become teachers. In addition, many teachers that start out in poorer schools move up to wealthier schools, where they have access to better resources and higher pay. Many school board members and district employees start out as teachers, but end up gravitating towards higher jobs when promotion opportunities arise. This is not an uncommon occurrence, and it is an incident that will always be occurring. However, when some of a district’s best teachers are promoted to non-teaching jobs, new teachers are required to fill their places. While this seems like a positive thing, it causes a significant problem; fewer young people are entering or planning on entering the teaching profession, leaving more blank spaces in job opportunities where teachers should be. 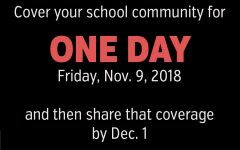 Not only that, fewer teachers can lead to larger class sizes, which minimize individualized learning, and can sometimes lead to classes being cut. The lack of teachers is most prominent in poorer schools. Due to their lack of funding, many of them have less resources and lower paying positions, making teaching jobs there less desirable than teaching jobs at schools with more money. “Our best teachers need to be in the most difficult places to teach,” says Richard Crandall, Colorado Commissioner of Education. Often, good teachers at poor schools get recruited by wealthier schools that have better resources and higher paying positions. Given that these positions are more often than not accepted, poorer schools are then forced to recruit less experienced teachers. And besides the rising lack of teachers in Colorado, the teaching profession may be made less desirable by young people due to the growing demand placed on teachers. Not only are teachers responsible for teaching required material to students, they are also being held increasingly responsible for preparing students for standardized tests, higher education, and a life of success in general. Ultimately, the lack of teachers issue is a students’ issue. Students are the ones most affected by it. For their sake and the sake of all students who will come after them, it is the job of our government to ensure that Colorado schools have access to the best teachers available. “A state system is only as good as the teachers in it,” says Crandall. 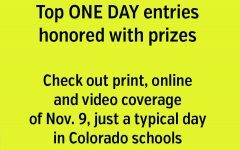 Colorado is the second top-ranked state in the nation for quality of education according to personal finance website WalletHub. But the disparity between low and high-income districts is strikingly apparent when it comes to continuation in post-secondary education. Rural communities face a lack of staff as teachers are less motivated to work in districts offering lower salaries and less benefits while teacher turnover in the entire state of Colorado is on the rise. The way that Colorado funds its schools is no different than the situation in the rest of the United States. State and local governments fund the majority of public education, relying heavily on property taxes. “The wealthy districts say, ‘Hey it’s not our fault that those guys’ property isn’t worth as much. Don’t take from us,’” Garcia said, which causes more argument than room for solutions. The result is disparity even within states. Race and class is seen to differ dramatically throughout each community in every state and, consequently, the American education system cannot provide equal opportunity across the board. The Hispanic community will soon become the most prominent ethnicity in the United States, but in Colorado and across the nation Hispanic individuals go to college less than any other group of people. In an education-driven work environment, lower-income individuals and minorities are finding it difficult to thrive as a college education is becoming necessary for employment. Colorado, despite the faults it shares with the rest of the United States, is trying to transform the picture for many minority and immigrant students. All students, regardless of citizenship status, are able to pay in-state tuition to attend any Colorado college. That in mind, many immigrant students who have been in the American education system from childhood still don’t make it to a university. Getting to college, however, is only the first half of the battle. 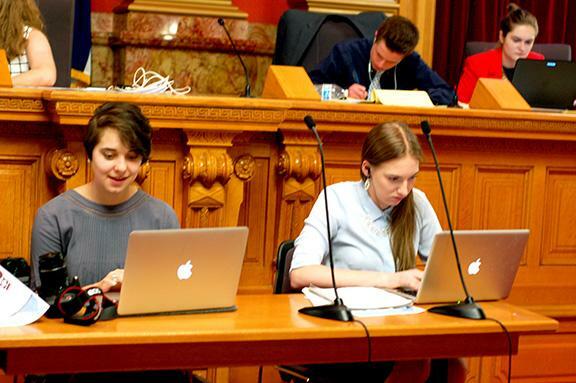 In higher-income counties such as Douglas or Cherry Creek, virtually no students are required to take high-school level classes, Garcia claimed. Statewide, only 25 percent of Colorado’s graduating class of 2014 met the ACT college readiness standards in all four subjects. Furthermore, 34 percent of graduates who continue their path to higher education in Colorado must take at least one remediation course. The extended stay in college is wasting both the time and money of students around the nation, but the overwhelming cost of higher education is accounted to far more than just that. The high quality of on-campus dormitories, food plans and recreation facilities are what’s causing high tuition rates at notable universities. 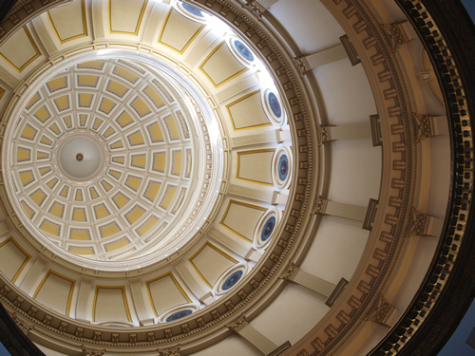 Colorado legislature agreed to lift the cap for raising tuition last year. 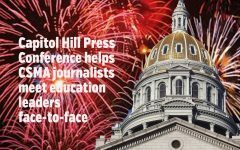 “The governing board showed us that they can behave responsibly in that no school actually raised it that much, because they know it’s in their advantage not to,” Garcia said. 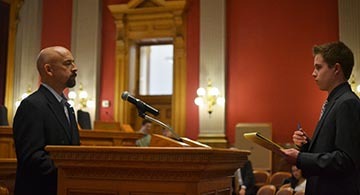 Garcia also stated that he supports funneling more money from the Colorado economy into providing equal opportunity in the high school and post-secondary education environment. At the end of last year at Rock Canyon High School, almost a quarter of the teachers quit. 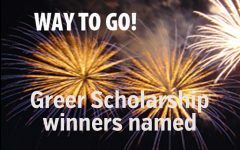 Some of our very best – a few Apple Award winners, all of them inspiring and exceptional educators – left for another school district for one reason: money. The fact of the matter is that the same teacher with the same qualifications and same experience will make different (that is, more) money doing the same job at Cherry Creek High School than for Rock Canyon. It’s a miracle we’ve kept any teachers at all. When marijuana was legalized a few years ago, there were excited murmurs about how metamorphic the changes would be. Apparently, the extra millions in tax dollars that the state would rake in would go straight to education. To schools. In fact, that very idea was one of the reasons the legalization bill even passed. The following year, the millions of dollars in revenue transformed our school, allowing us to hire better teachers, update our building, and buy textbooks that were written after I was born. Just kidding; as a student at Rock Canyon, it’s impossible to even see a difference. The fact of the matter is that under improper management and without the support of the taxpayers, funding in our district will always be scarce. It’s even the mission of the majority of our school board to shrink government and keep taxes low. Referendums to increase the budget routinely fail. 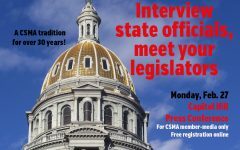 In other words, his answer reflected on recruiting the best teachers to Colorado, but the fact of the matter is that it will always be hard to attract the best teachers to DougCo if we don’t pay them competitively. 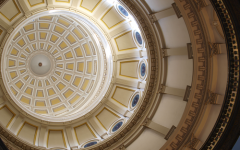 The teachers that will encourage students to succeed in postsecondary education (and beyond) exist, for sure, but they stand the chance of making a much higher salary in Wyoming than here in Colorado or in Cherry Creek than in Douglas County. Brothers and sisters, what we need is a change in our community’s mindset on education. Colorado may be sixth in the nation in educational quality, but our school board needs to pass that benefit onto the students. 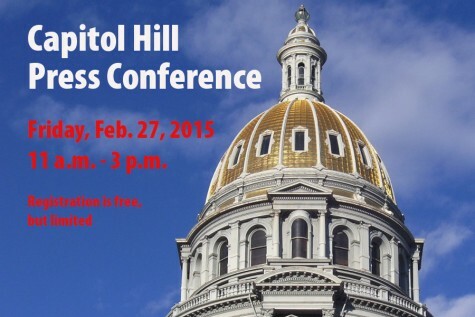 When our district’s constituency fails to get us better funding, our district can’t function. Teachers get paid less for more experience, the turnover rate is too high for them to build relationships with students, and we lack crucial school supplies. The reason our school board runs the district “like a business” is because that’s what the people want. But it shouldn’t be. 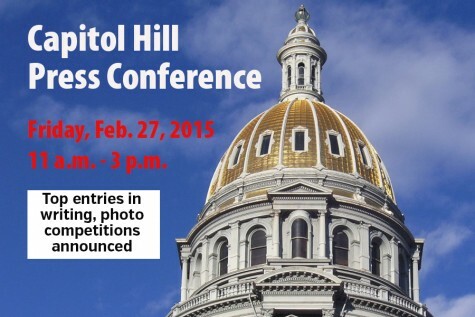 Capitol Hill Press Conference contests announced… finally!